If you’re in Chicago looking for a great, satisfying Korean BBQ experience look no further than Gogi and Cho Sun Ok. 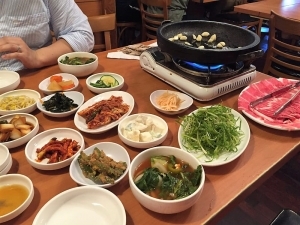 Although Chicago’s stable of Korean BBQ restaurants may not match up with LA or New York City the distinct experiences that both Gogi and Cho Sun Ok provide should be enough to satisfy any Chicago dweller looking for that irreplaceable Korean BBQ fix. With Gogi’s push to bring Korean BBQ into the ages old, tradition laden, meat eating culture that’s been a part of the city of Chicago since its conception and Cho Sun Ok’s stubborn commitment to staying true to what they are, an old school, traditional Korean BBQ joint there’s something here for everyone. Leading up to the early 2000’s there was a growing Korean population in Chicago with stores and restaurants propped up on Lawrence Ave (Jinwoo’s family lived on Lawrence Ave above a BBQ joint… maybe this explains something). Since then, many Koreans have moved out of the city and into the suburbs, leaving historic Korea Town looking significantly… unKorean. 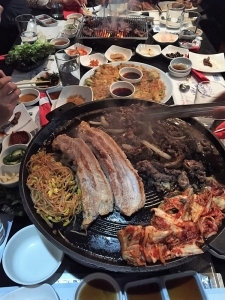 Consequently, the city is missing an established K-Town, especially compared to LA where several Korean BBQ spots sit mere blocks away from each other. That doesn’t mean you won’t find good Korean food in Chicago, it’s just more scattered across the city. 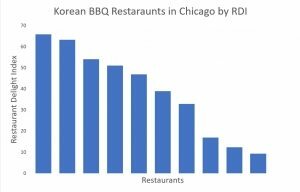 From our research, there are roughly eleven Korean BBQ joints in Chicago but only five have enough reviews to be considered on this list. We were surprised by how low most of these places scored; did your favorite Chicago Korean BBQ restaurant make the list? 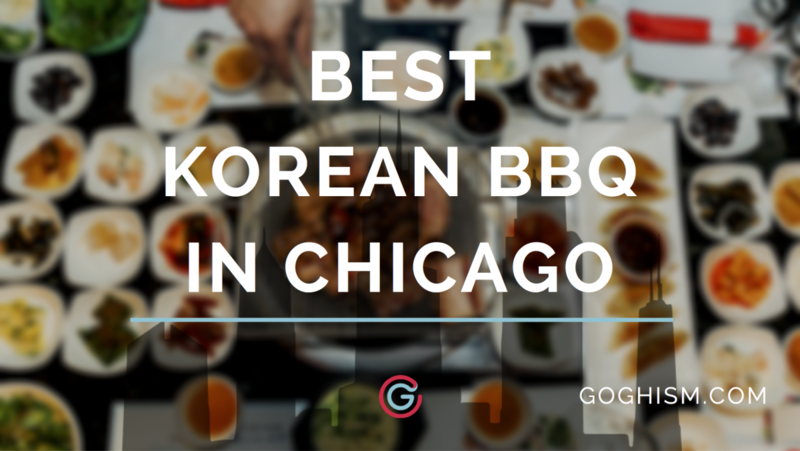 Gogi topped our list for the best Korean BBQ restaurant in Chicago with an RDI score of 63, which means you have a pretty good chance of having a delightful Korean BBQ experience. Are they on par with Korean BBQ in LA? Not even close. There was also an owner change recently, which according to trends may explain the slight decline in the quality of customers’ Korean BBQ experience. However, Gogi is your best shot of leaving pretty happy if you’re in need of some sizzling kalbi on a grill (their claim to fame). Gogi is big enough to seat large groups, while being half the size of San Soo Gab San (a long time go to for Chicago Koreans). For larger parties they offer zashiki style seating, where you take off your shoes and sit on cushions at a low floor table (give it a little thought as it might not be the most comfortable for your parents to sit like that for an hour or so). Portion sizes are generous at Gogi, when your name is ‘meat’ they better be. Another underrated aspect is that the meat is grilled over charcoal, which adds a depth in flavor that can’t be replicated with gas. At the end of your meal, you get a bonus kimchi fried rice grilled and mixed with the leftovers from your grill. Delicious! Their banchan game is good, but not great. It may be hit or miss, but leans slightly more towards the hits. There’s a lack of consistency in their quality and portions, which goes the same goes for their service. They do a decent job in serving you, but it wouldn’t be totally surprising if things are a little off during your visit. They do have a buzzer at the table, so that helps. Unfortunately, their grilling system doesn’t prevent you from smelling like the food. Bring out those clothes buried in the corner of your closet or plan on making a stop at home before going out again. Cho Sun Ok Restaurant is one of the more if not most authentic Korean BBQ experiences you can get in Chicago. Does that translate into a great experience? Not always. If it’s your first time, I highly suggest trying somewhere else, unless you have a grizzled Korean BBQ veteran with the Korean language skills to match. The waitresses are old school Korean, they appear grumpy, and their English leaves a lot to be desired so miscommunication is to be expected unless you bring the aforementioned vet. It takes some getting used to; it’s also crowded most times, which doesn’t help that the space is pretty small to begin with. Every time I’ve been there it’s felt a little overwhelming, but not enough for me to leave unsatisfied. On the plus side, you get a lot for what you pay for. The meat quality is a little better than the average. It’s also more affordable than most Korean BBQ restaurants and, most importantly, is BYOB! You’ll see a lot of people walking in with beer or soju from the liquor store nearby. Cho Sun Ok is the perfect place if you’re looking for value. You’ll get a no-frills traditional Korean BBQ experience, and to top it off they’ll cook all the leftovers on the grill with fried rice. (FYI whenever the three of us are in Chicago together, which happens a couple times a year, we always make sure to get dinner here at least once). A total of eleven Korean BBQ restaurants in Chicago were reviewed and of those, five met our criteria of having more than 264 reviews and passed the Fakespot fake reviews test. From this distribution of Chicago Korean BBQ restaurants sorted by RDI, there is a much steeper slope than other cities we’ve plotted. The quality of the experience drops steadily, so you really can only trust in a couple of these restaurants. That’s actually why we only chose two to put on our list. 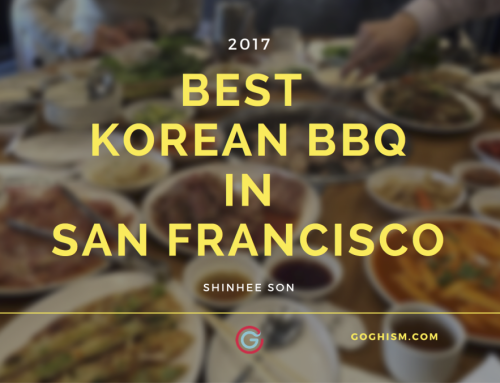 What’s also interesting to note is the highest rated Chicago Korean BBQ, Gogi, would have ranked in the top 5 in New York City, but on the bottom half in Los Angeles. Korean barbecue in Chicago has a long way to go in closing that gap to be considered one of the best cities for Korean BBQ.